The All India Lawyers Union (AILU) has filed an Intervention Application before the Supreme Court in a Petition seeking independent probe into CBI Special Judge Brijgopal Harkishan Loya’s death. AILU's application seeking intervention in the pending matter, highlights the "threat" being faced by the "independence of the individual judges and the collective independence of the judiciary as a body" with the surfacing of the allegations. Pointing out that Mr. Amit Shah is now the chief of the ruling party, the Application then highlights the need for an independent Court-monitored investigation into the incident, asserting, "A significant number of people and organizations in the country are anxious on the circumstances in which an honest judge- probing into the involvement of a major party chief in India in the fake encounter case- was dead. Such a situation warrants an independent enquiry as the judges must be able to decide a dispute before them according to law, uninfluenced by any other factor. But Amit Shah alias Amitbhai Anil Chandra Shah – the person who was accused in the case in which Sh. (late) Judge Loya has been appointed at the relevant time- is the chief of the ruling party at the centre now and hence the applicant organization apprehends that the investigating team may not be free from executive pressure unless the said investigation is under the constant and continuous supervision of a special bench of this Hon’ble Court." It further demands that Judges hearing "sensational cases" be provided 'z-category' security on their request. The Collegium, it said, should then recommend it to the Government. Besides, the AILU has also prayed for guidelines on Judges taking up offices of profit after retirement, contending, "lay men in this country shall have no occasion to think that the retired judge has received a consideration for the way in which a case involving certain influential persons/ the Government was decided in a certain manner. This is important to augment the belief upon the independence of judiciary and rule of law as in the past, at least in a few occasions, the general public had occasion to link the retired judges getting appointed to certain offices with the sensational cases they have decided in their active career as serving judges." The Apex Court had recently assured to dispassionately examine the circumstances surrounding the Judge's death and reach its own conclusion. The Bench comprising Chief Justice of India Dipak Misra, Justice A.M. Khanwilkar and Justice D.Y. Chandrachud also directed that similar Writ Petitions pending before the Bombay High Court be transferred to it and barred all High Courts from entertaining any similar petitions. It had earlier adjourned the proceedings after the Maharashtra Government had filed all documents pertaining to it before the Court in a sealed cover. The Bench comprising Justice Arun Mishra and Justice M. Shantanagoudar had also asked Senior Advocate Harish Salve to provide copies of the documents to the Petitioners- Mr. Lone and Mr. Tehseen Poonawalla. The Court had then directed the matter to be placed "before the appropriate bench", hinting towards the PIL being moved to a new Bench. 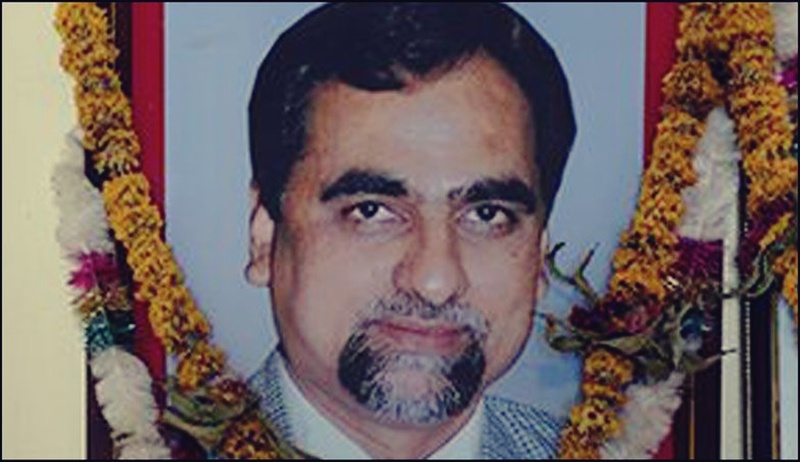 The two Petitions before the Court demand an independent probe into the mysterious death of Judge Loya in 2014, when he was presiding over the Sohrabuddin fake encounter case. The 48-year old Judge had died of a cardiac arrest in Nagpur, where he had gone to attend a wedding on December 1, 2014.